The Battlefield’s Trust has received a National Lottery grant of £84,400 from the Heritage Lottery Fund (HLF) for the Mortimer’s Cross Battlefield Project in North Herefordshire. Made possible with money raised by National Lottery players, this exciting project will investigate the site of this little known but significant ‘Wars of the Roses’ battle for the first time and raise awareness for people nationwide of its historic importance in leading Edward IV to the throne. Work will begin in the new year and finish in 2021 when visitor information will be completed. Shakespeare noted that three suns (a parhelion) famously appeared above this unassuming battlefield at Mortimer’s Cross on a frosty February morning in 1461. It is thought Yorkists battled Lancastrians from dawn until dusk; thousands are likely to have died and been buried where they fell. Project archaeologists and volunteers will seek to find where they are buried before evidence deteriorates further. The victor was Edward, Earl of March, a Mortimer descendent. Aged just 18 he went on to be crowned King Edward IV, the first Yorkist king. He would take as his badge ‘The Sun in Splendour’, due to his triumph at Mortimer’s Cross, still used in the Queen’s regalia today. Very little is known or written about this battle, but battlefield specialists, alongside local volunteers and students hope to piece together a more accurate picture to better tell the story of this significant event. 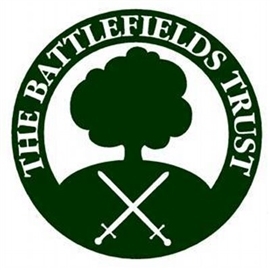 The National Lottery funded project is run by volunteers from the local community, the Battlefields Trust and archaeologists. Landscape and battlefield archaeology, supported by Huddersfield University, will provide the first training nationally for volunteers with a view to uncovering the secrets of the site. The project will set historic interpretation panels at key points in the landscape and provide a permanent visitor information display at the Mortimer’s Cross Inn for the many visitors to the site. Battlefield walks, events and engaging activities for schools will tell the story to young and old alike.